MELBOURNE, FL, USA (September 9th, 2015) – PostPress Magazine, the journal of the two leading print finishing trade associations in America, the FSEA & BIA, has partnered with MGI Digital Technology, Mohawk Fine Papers, KDX America and API Foils, to produce a special “GRAPH EXPO 2015” version of their quarterly magazine with Personalized & Variable Data Foil (VDF) Embossed Cards adorning the cover. Post Press Magazine is the official publication of the Foil & Specialty Effects Association (FSEA) and the Binding Industries Association (BIA), affiliate of the Printing Industries of America (PIA). As the voice of the country’s most experienced and advanced print finishing craftspeople, the magazine provides insight and education on business and technology trends for members seeking to add value to printed material. The project was done in partnership with MGI Business Partners Mohawk Fine Papers, KDX America (lamination film) and API Foils. The cards were cut by premier finisher and FSEA member, The Printer’s Edge. 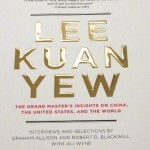 The magazine was printed by commercial printer and publishing specialist Allen Press. Each card was printed on the MGI Meteor DP8700 Xl+ with variable data (VDP) and enhanced on the JETvarnish 3D & iFOIL with Variable Data Finishing (VDF) techniques. The MGI iFOIL was recently honored by the Printing Industries of America (PIA) with a 2015 InterTech Technology Award to match the one earned by the JETvarnish 3D in 2013. For more information, please visit www.postpressmag.com, www.mgiusa.com, www.fsea.com, www.printing.org/bia, www.mohawkconnects.com, www.kdxamerica.com, www.apigroup.com. www.allenpress.com, www.printersedgefl.com and www.graphexpo.com. 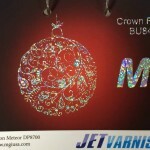 This entry was posted in Shared Articles, Vendor News and tagged iFOIL, JETvarnish 3D, MGI, Variable Data Foil on September 21, 2015 by Billi Jean Johnstone. the MGI JETvarnish 3D Changed Their Business Model. 3rd Generation Publishing Services Specialist Looks Back on MGI Digital Finishing Investment with New Customers and Business Growth. MELBOURNE, FL (USA), September 8th, 2015 – Three years ago, the John P. Pow Company and MGI Digital Graphic Technology joined forces to help expand digital finishing options for the book publishing industry. Since then, JP Pow has been building and growing the range of its publishing and printing services portfolio with the MGI JETvarnish 3D Digital Finishing Solution. Together, John P. Pow Co. & MGI are helping publishers sell more books. For over 70 years, the John P. Pow Co. has been providing expert lithography & print finishing services to some of the world’s finest publishers – with a nationally recognized specialty in both paperback book covers and hardback dust jackets. “Our original investment in the MGI JETvarnish 3D was designed to provide our clients with the highest quality standards and most flexible design options possible.” said Mr. Mark Finneran, JP Pow’s Vice President. “MGI’s technology helped launch us towards the digital future.” added Mr. Finneran. “We’ve expanded our trade service business and experienced successful growth in “touch-centric” book cover market categories in publishing like holiday, seasonal, children’s, home décor, cooking and technical works”. 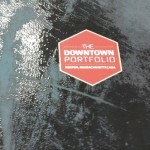 “We’re honored to help contribute to the creative skillcraft of such a respected firm as JP Pow. For three generations they have helped publishers produce great books that get noticed, purchased and read.” said Kevin Abergel, MGI Vice President of Marketing & Sales. MGI’s JETvarnish 3D digital finishing product supports production printing applications to produce eye-catching, luxurious-feeling 3D foil & embossed textured effects. The JETvarnish 3D streamlines spot UV coating, embossed tactile coating and foiling through a fully digital process that requires no screens or dies and no minimum runs. MGI’s creative enhancement options help graphic artists & printers utilize their craft experience to offer dynamic new digital designs, features and formats. In 1935, John Percy Pow started using a one-color letter press to produce advertising material for Boston businesses. The business grew when John Pow’s son Jack entered the business. In the late 50’s, Jack Pow teamed up with Tom Finneran Sr. and the two became partners. Soon afterwards, the firm moved to offset printing ranging from one to four color technology. From then on, John P. Pow Co. steadily built a reputation for providing publishers with high-quality book components along with top-notch, personalized customer service. John Pow branched out and is now serving customers both locally and nationally. JP Pow is a strong reliable business with nearly 50 employees working day and night at their South Boston location. Even with this growth, John P. Pow continues to offer the type of personalized customer service a small firm does best. They remain a family-owned business, with the founders’ grandchildren now actively involved in operations. 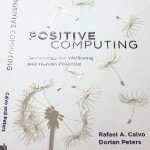 This entry was posted in Coating & Laminating, Print Finishing, Printing, Shared Articles and tagged book publishing, JETvarnish 3D, MGI, Print Finishing, raised spot UV coating on September 9, 2015 by MSL. 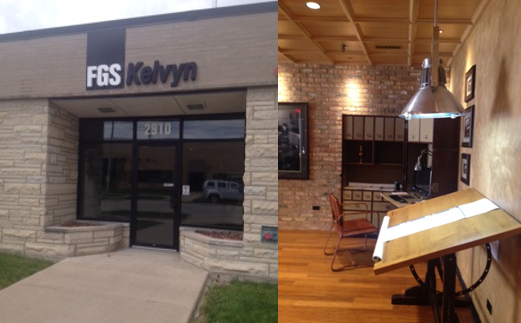 MELBOURNE, FL USA (August 31st, 2015) – Kelvyn Press, Inc. in Broadview, IL, started in a garage across from Kelvyn Park in Chicago many decades ago. It grew and moved into The Donahue Building in ChiTown’s storied “Printer’s Row” neighborhood. In 1968, the Malacina family took over the business and has since expanded nationally by creating a separate firm, called Financial Graphic Service (FGS) with a dedicated focus on government, financial, banking, securities, health care, legal and regulatory projects. In 2015, the Printing Industries of America (PIA) recognized the quality of Kelvyn’s work with MGI digital technology with a coveted “Premier Print Award” (popularly known as a “Benny” after Benjamin Franklin, the founding father and leading printer of the American Republic). Additionally, the Binding Industries of America (BIA) awarded them a Product of Excellence (POE) Award. The PIA also recognized the MGI iFOIL product in 2015 with an internationally prestigious “InterTech Technology Award” to match the one earned by the JETvarnish 3D in 2013. After 80 years in business, Kelvyn Press invested in MGI technology in 2014 to launch a new Digital Print Department with the Meteor DP8700XL+ press and the JETvarnish 3D & iFOIL integrated finishing suite. They also upgraded the JETvarnish 3D with the T2 option – a second row of inkjet heads that can double throughput speed and Spot UV elevations up to 200 microns. Since then, the machines have not stopped running and their business has grown with new work producing brochures, catalogs, invitations, envelopes, business cards, books and many more profitable new enhanced print applications. This entry was posted in Digital Printing, Print Finishing, Printing, Shared Articles, Vendor News and tagged Digital Finishing, Digital Printing, iFOIL, JETvarnish 3D, Kelvyn Press Release, Meteor DP8700 XL, MGI on September 2, 2015 by MSL. MELBOURNE, FL, USA (January 27th, 2015) – MGI Digital Graphic Technology is pleased to announce they will be exhibiting at the 2015 Graphics of the Americas show in Miami Beach February 26th-28th. Amid the many technologies to be highlighted at GOA’s 40th anniversary show, MGI will be sure to stand out amongst the competition with their full line of innovative digital printing and finishing solutions at Booth #614. MGI will have two award winning duos: the JETvarnish 3D spot UV coater with inline digital foiling iFOIL module and the multi-substrate Meteor DP8700 XL+ digital press with the brand new inline DF Pro finishing system. MGI’s JETvarnish 3D, is now more powerful with a new field upgradeable option, allowing for doubling (“T2”) production speeds and the ability to digitally coat up to 300 microns in one pass on formats up to 52x105cm (20”x40’’). In addition to the increased speed, the new barcode reaction camera system will allow users to digitally emboss or spot varnish variable data by reading printed barcodes and recalling the correct images in the workstation to varnish with ease. 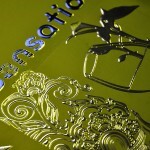 The JETvarnish 3D “T2” can be connected to MGI’s award-winning iFOIL module to create 100% digital hot foiling inline. The iFOIL does not require use of dies, plates or make-ready, allowing this innovative duo create a tactile elegance never seen before on demand. The JETvarnish 3D and iFOIL’s combined abilities produce a revolutionary new process for personalized foil in short runs, generating never before seen opportunities. MGI will also be showcasing the newest member to the Meteor family of digital presses, the Meteor DP8700 XL+, which brings a sizeable upgrade in quality, format sizing, thicknesses and more. The Meteor DP8700 XL+ is a versatile toner-based digital press with true multi-substrate capabilities for paper, plastics & envelopes. Designed to maximize production & ease of operation, the Meteor DP8700 XL+ boasts a variety of value-added capabilities including laser-safe prints, offset comparable output, and ability to print up to 47″ long. Also available for live demonstrations, the DF Pro, a newly developed finishing solution that works inline (or offline) with the Meteor digital press to create a fully finished piece from start to finish. The DF Pro can reach up to 4,260 finished sheets per hour, and for any given document up to 20 distinct operations can be applied all in one pass, such as: horizontal and vertical cutting, positive and negative creasing, and horizontal and vertical perforating. The ability to complete jobs in one pass, will save both time and money, making the DF Pro a valuable addition to the Meteor digital press line. To see the JETvarnish 3D “T2” with iFOIL and Meteor DP8700 XL+ with DF PRO in live production, visit MGI at Booth #614 during Graphics of the Americas on February 26th – 28th in Miami Beach, FL. The MGI Group is composed of MGI Digital Graphic Technology, headquartered in Paris (Ivry-sur-Seine), France, and KÖRA-PACKMAT, located in Villingendorf, Germany, and CERADROP, located in Limoges, France. Founded in 1982, MGI Digital Graphic Technology designs, manufactures and markets a full and innovative range of award-winning digital presses and a complete line of versatile finishing solutions. MGI has a portfolio comprised of several thousand customers in a wide range of sectors, including graphic industry professionals, Fortune 1000 companies, government agencies, plastic card manufacturers, silk screeners and photo labs. A leader in the professional graphic equipment market, MGI is registered on the Euronext Paris Alternext stock exchange (ALMDG). They received the prestigious OSEO “Innovative Company” & “OSEO Excellence” labels respectively in 2009 & 2012 in recognition of their expertise and innovation in the graphics & finishing industry. In addition, MGI has won thirteen international product awards from 2008-2012 related to technological innovation, including the 2010 Siemens Innovation Grand Prix and the 2011 Engineering Prize for their color inkjet technology. MGI USA, based in Melbourne, Florida, is MGI’s fully owned subsidiary that services the North and South American, Caribbean and Asia Pacific markets. KÖRA-PACKMAT is an industrial manufacturing company which specializes in the development of offset sub-systems. With four business units that cover feeding systems, paper transport systems, film wrapping machines & ultrasonic sealing systems, KÖRA-PACKMAT has a worldwide presence that is represented through a network of distributors and a subsidiary based in Singapore. CERADROP is a cutting-edge company founded in 2006, by members of the CNRS (Centre National de la Recherche Scientifique) the world-renowned laboratory, and in under just seven years has become the French leader in inkjet equipment for printed electronics market and 3D printing. This entry was posted in Vendor News and tagged GOA, Graphics of the Americas, iFOIL, JETvarnish 3D, MGI on January 28, 2015 by MSL. MELBOURNE, FL, USA (January 8th, 2015) – MGI Digital Graphic Technology is pleased to announce another successful year for JETvarnish 3D users, bringing in over 8 esteemed awards worldwide. 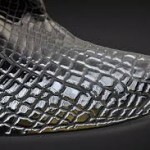 From Thailand to Germany, JETvarnish 3D users are turning heads with their stunning, tactile pieces. 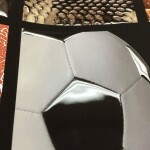 Utilizing the unique capabilities of the JETvarnish 3D, users can vary the drop size from the 3 to 200 microns (with the “T2” option), allowing for maximum creative control. Another 2014 award-winner, Mark Resnick, owner of The Printer’s Edge located in Orlando, Florida, brought home multiple awards from the 2014 FSEA Gold Leaf Awards and a Flamingo Award from the Print Association of Florida for ‘Best Special Treatment’ with his JETvarnish 3D. “Beyond the many awards received, our first sample set printed on the JETvarnish 3D has proven to be a strong business development tool for both us and our customers. This capability has already opened doors for The Printer’s Edge,” states Resnick. In Europe, Point44, a large offset printer in France, won the Digital Added Value award and Dürmeyer of Germany won the coveted 2014 Gold PrintStars award in the Direct Mail category for their “Black Box” marketing kit finished on their JETvarnish 3D. The JETvarnish 3D can produce up to 5,200 A3 pages or 3,000 B2 pages per hour (2D effects) with an input/output capacity of about 4,000 sheets. Now the JETvarnish 3D comes with new, flexible upgrade options- the “T2” option, a second row of print heads, to improve spot coating quality and productivity, and the new iFoil option, for inline hot foil done 100% digitally for flat or embossed-like effects with variable data capabilities. Both options are field upgradeable at any time. The iFOIL & JETvarnish 3D are the first 100% digital solutions available for this industry worldwide. For more information visit MSL online! This entry was posted in Vendor News and tagged iFOIL, JETvarnish 3D, MGI on January 8, 2015 by MSL. Utilizing MGI’s award winning and revolutionary inkjet technology, the JETcard 3D provides card manufacturers with an all-inclusive printing/encoding/finishing solution. MGI’s JETcard 3D is a true Card Factory and can replace up to 5 different pieces of equipment traditionally used in the plastic card production chain: Litho press, collator, lamination press, die cutter and encoder/personalization printer. The JETcard 3D utilizes pre-cut blank cards (with/without magnetic stripe or RFID) and is ideal for turnkey production from 1 card to millions, all ready to be sold (fully printed, personalized, coated, encoded & verified). The JETcard 3D is targeted for card manufacturers as well as commercial printers, maximizing productivity for high volume applications while still remaining cost-effective for short runs. The JETcard 3D has already been awarded the prestigious “2010 Siemens Innovation Grand Prix” and the “2011 Engineering Prize”, in recognition of MGI’s R&D achievement. Typically, a traditional plastic card production chain is using up to 5 pieces of equipment: offset press, collator, laminating press, die cutter, and personalization printer/encoder. Each piece of equipment has varying productivity levels, requires a specialized operator, and can sometimes be spread across a large site. Combined, these factors result in high production costs. With the JETcard 3D features, MGI streamlines the production chain by bringing all these key processes into one piece of equipment. The JETcard 3D features MGI’s award-winning inkjet technology and is a true reinvention of the traditional plastic card production process. For additional information visit us online at www.midstatelitho.net. This entry was posted in 3D Printing, Plastic Card Printing and tagged JETvarnish 3D, MGI, Plastic Card Production on January 5, 2015 by MSL. MELBOURNE, FL, USA (December 15th, 2014) – MGI Digital Graphic Technology is honored to announce that TRINITY won a Gold Certificate Award at the 2014 Asian Print Awards thanks to their JETvarnish 3D. Ferrostaal Thailand customer, TRINITY (formerly known as TRIO 3D) was recently awarded a Gold Certificate from the Asian Print Awards in the leaflet, flyer, folder, and brochure category. TRINITY created a stunning 3D effect with the JETvarnish 3D on the cover of ‘Coffee Bean’ by Dao achieving an elegant, visually striking menu cover. Utilizing the full array of unique customization and creative control options of the JETvarnish 3D, TRINITY was able to successfully differentiate themselves from the rest of their competition. TRINITY installed their JETvarnish 3D earlier this year, pioneering a digital driven revolution in the Thai print industry. Samak Chiratananan, the veteran Thai printer and Owner of TRINITY, has been stirring up buzz with his JETvarnish 3D since installation, providing innovative solutions and top of the line service to his customers. 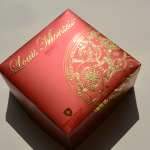 This entry was posted in Vendor News and tagged Asian Print Awards, JETvarnish 3D, MGI on December 17, 2014 by MSL. The award-winning JETvarnish 3D takes digital spot UV coating to a new dimension, featuring increased throughput for flat spot UV jobs and amazing 3D raised effects. Ideal for operations with offset and/or digital presses up to 52×105 cm format, the JETvarnish 3D is the perfect solution for 3D or traditional flat spot UV coating on runs from one to thousands, providing printers with true value-added services. Gain new customers & profitable markets and your clients will receive visually stunning pieces that allow them to differentiate themselves and with customization not available through traditional and analog spot UV coating methods. A pioneer and industry leader in spot UV coating, MGI first presented the JETvarnish 3D at drupa 2008 and boasts the industry’s largest install base. JETvarnish 3D series customers hail from all Graphic Arts sectors such as offset commercial printers, digital printers, finishing houses, silk screen printers, specialty photo printers and book publishers. 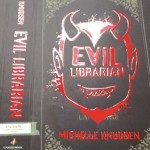 The most popular jobs include book covers, brochures, business & invitation cards and packaging. Flat or 3D Spot Coating, you have the choice! A new 3D high gloss coating formula at 99% G.U. The JETvarnish 3D can handle all kinds of sheet sizes including the very popular 52×74 cm/20×29″. The 3D varnish takes digital spot UV coating to a new dimension. These new capabilities produce beautiful, tactile 3D effects that enhance visual appeal and bring new sensory dimension to all printed projects. Nobody can resist! Contact us for additional information at 1-800-343-4231 or visit us online at www.midstatelitho.net. This entry was posted in 3D Printing and tagged Digital Finishing, JETvarnish 3D, MGI, Raised UV Coating, Spot UV Coating on November 26, 2014 by MSL. MGI Digital Graphic Technology is pleased to announce that the Pack Experts Committee has awarded the iFOIL with the “Innovation Award” at 2014 Packaging/Emballage Exhibition (MGI booth on Hall 6, G135). This year’s 1,500 exhibitors submitted over 208 innovative products to the Pack Experts Committee.The Committee consists of industry experts, many from large international companies with worldwide expertise, such as: L’Oréal, Coca-Cola, and Nestlé. The top 8 entries were given the prestigious “Innovation Award,” including the MGI iFOIL solution. The Packaging/Emballage Exhibition, held from November 17th-20th in Paris-Villepinte (France), is expecting over 100,000 visitors this year to see the packaging & handling industry’s best. With an average annual growth rate of 10%, the packaging industry is making great strides in packaging functionality and innovation. Working in-line with the JETvarnish 3D, the iFOIL uses a revolutionary 100% digital process to create embossed hot foil effects. The duo take print jobs to the next level, adding luxury to everything from packaging, magazine covers, books, brochures, to invitations and labels. 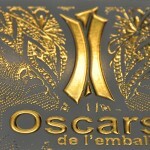 The innovative technology used by the pair has drawn a lot of international awards due to their unique inkjet technology and the 100% digital process. For additional information on the JETvarnish 3D and iFOIL, please visit us online at www.midstatelitho.net. This entry was posted in Special Events, Vendor News and tagged iFOIL, JETvarnish 3D, MGI on November 25, 2014 by MSL. Spot UV Coating – with or without raised effects! A pioneer and industry leader in spot UV coating, MGI first presented the JETvarnish at drupa 2008 and boasts the industry’s largest install base. JETvarnish series customers hail from all Graphic Arts sectors such as offset commercial printers, digital printers, finishing houses, silk screen printers, specialty photo printers and book publishers. The most popular jobs include book covers, brochures, business & invitation cards and packaging. For additional information about the MGI JETvarnish 3D, visit us online at www.midstatelitho.net. This entry was posted in Coating & Laminating and tagged JETvarnish 3D, MGI, Spot UV Coating on November 13, 2014 by MSL.